Hewlett-Packard (HPQ) may have bumbled and fumbled the resignation of CEO Mark Hurd and his move to Oracle (ORCL), but the company has kept on making deals. HP is close to a deal to buy security software maker ArcSight (ARST). The transaction would be worth about $1.5 billion, or a little more that $43 a share. That's a 24% premium over where ArcSight's shares traded on September 10. The Wall Street Journal was the first to report on the deal. ArcSight is in the "hot" sector of protecting digital data and internet security from cyber threats. The acquisition will be expensive. ArcSight only made $3 million on $48 million of revenue last quarter, which ended July 31. Sales did grow 38% year-over year. 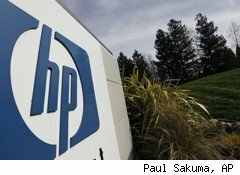 HP only recently won a bidding war with Dell Computer to buy 3PAR (PAR). The buyout of 3PAR was also considered expensive, largely because of the pressure to outbid Dell. Will all this M&A activity do much to increase the firm's strategic programs to better compete with other tech giants? One of the critical hallmarks of deal-making is that its success often depends on a CEO's ability to integrate new businesses into the parent company. Oracle (ORCL) is admired on Wall Street for doing that well -- as is Cisco (CSCO). Mark Hurd had a reputation for plugging new businesses into HP, the most well-known of which was IT consulting firm EDS. But HP has no permanent CEO at the moment, and that will probably make the integration process of the two companies it has bought more difficult. And, what if a new HP CEO thinks the deals were a bad idea?